Anläßlich des 60. Geburtstages von Hubert Knoblauch veranstalten Wir die Tagung Wissen, Kommunikation und Refiguration. 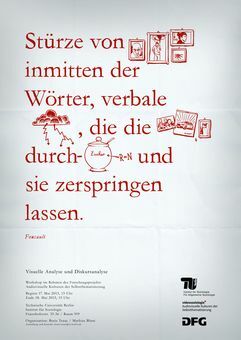 Das Ziel der Tagung ist, verschiede Perspektiven auf die Themen Wissen, Kommunikation und Refiguration zu werfen und zu diskutieren. 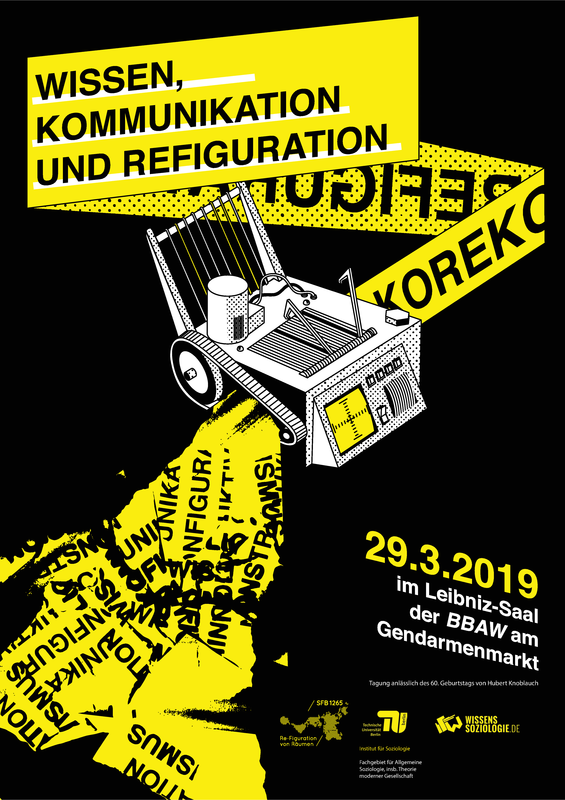 2018 Midterm Conference of the ESA Research Network 29 "Social Theory"
Contemporary societies are subject to a series of fundamental changes. On the one hand, the dissemination of new media, communication technologies and digitalization is rapidly changing the working of society, of the economy, politics, even culture, and quite evidently also our everyday life practices and our social relations. As evident as this process is, sociology still lacks an encompassing analysis that enables it to grasp the dynamics of this process. Moreover, the assumed tendency towards globalization, transnationalization and ‘world society’ are currently facing a counter-tendency of re-nationalization and regionalization. The transgression of borders is met by the building of new walls, and the rapid process of individualization and singularization is paralleled by new forms of social inequality, precarity and poverty. On the political level, we find new social movements are triggered and transformed by the new media, new territorial wars and a relative, as well as projected, shift of political dominance away from the West. These contradictory developments have inspired images of multiple modernities, global modernity and ‘a world sociology of modernity’. Beyond the quite necessary analysis of specific problems, sociology needs to reflect on the question of how to grasp these changes. 200 years after the birth of Marx, and 100 years after the death of Durkheim and Simmel, we may ask if we are still able to fit current changes into our sociological schemes of modernity, late, reflexive, or postmodernity? Or, are we witnessing a much more radical transformation of the social order, a refiguration of society, affecting social relations, social institutions, social actions and practices. 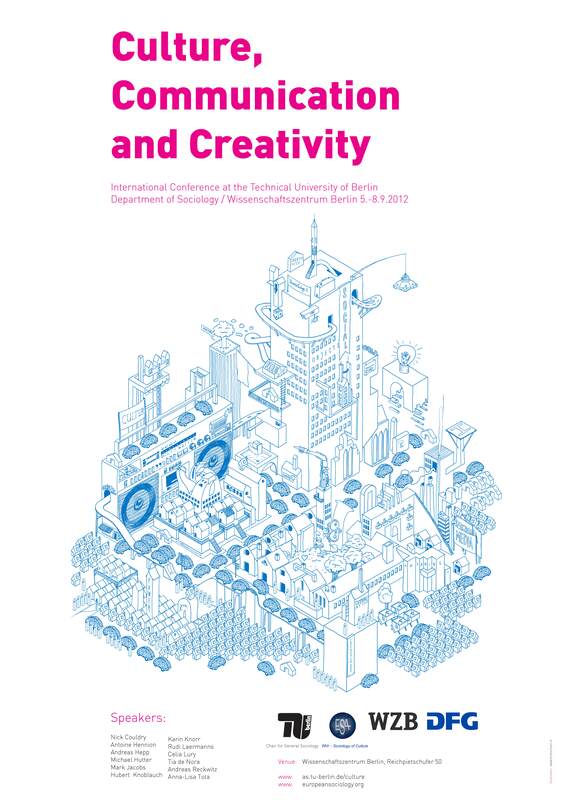 These are the questions that we want to ask at the 2018 ESA RN 29 Social Theory Mid-Term conference in Berlin. Therefore, the conference invites papers which discuss (a) the diagnosis of contemporary societies, analyses of general social changes and transformations, (b) conceptually rich empirical analyses addressing these general issues, (c) general discussions on concepts, categories and theoretical models in sociology related to the changes in contemporary society, and (d) assessments of the relevance of classical sociological theory accounts to understanding current expressions of modernity in transition. 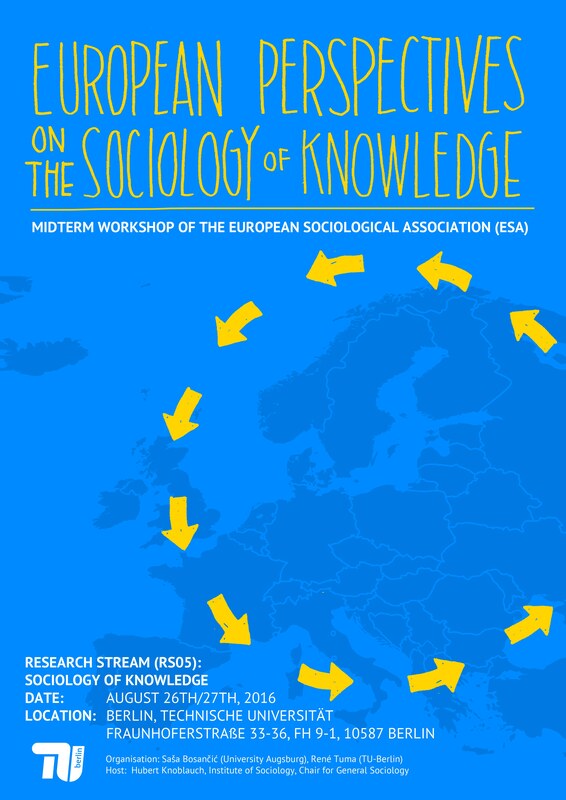 This workshop presents contributions covering the variety of approaches and current developments in the field of sociology of knowledge which can be found in Europe and beyond. In initializing a dialogue across the diversity, it looks for a common ground for the various theoretical and empirical efforts in this field. Rather than being just another sociological sub-discipline, we take the sociology of knowledge to establish a particular and unique sociological perspective constituting a general approach to doing social science. 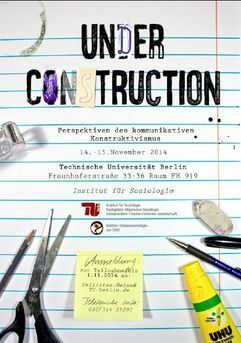 Its main theoretical and methodological premises can be found in the works of Max Weber’s Verstehende Soziologie, Karl Mannheim and the classical ideological criticism tradition and Alfred Schütz and Berger and Luckmann as a starting point for the social constructionism tradition. 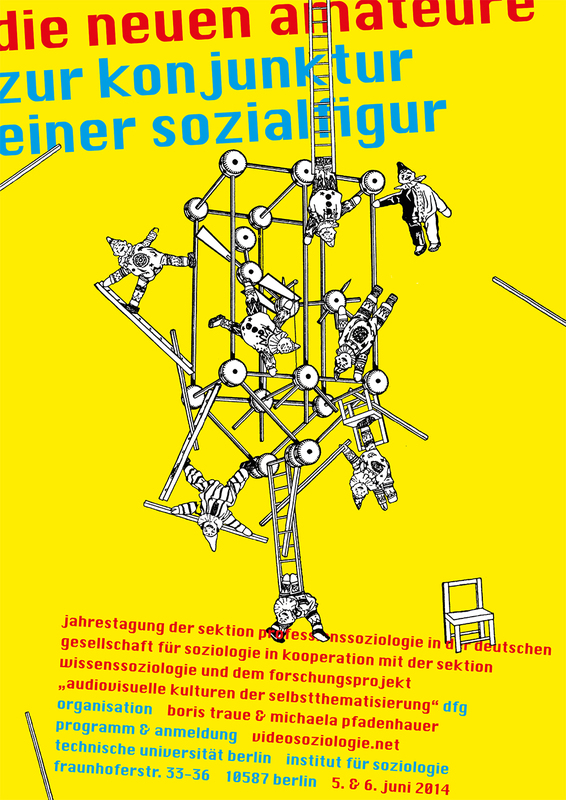 Inspiration for the sociology of knowledge can also be found in other traditions such as the ‘Durkheim School’ or in the work of Florian Znaniecki and others. 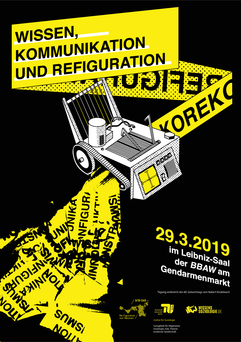 The new sociology of knowledge approach – as we understand it – draws both on this European tradition and on the North American tradition of Symbolic Interactionism, Ethnomethodology, the Chicago School of Sociology and their ‘descendants’ such as Erving Goffman and others. 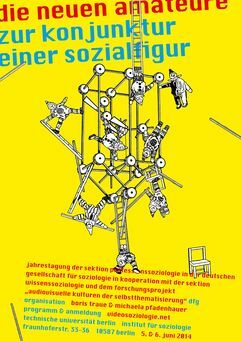 Currently a number of developments under the umbrella of sociology of knowledge is gaining momentum as ideas from the sociology of knowledge are combined with concepts of communication (“Communicative Constructivism”), theories of discourse (“Sociology of Knowledge Approach to Discourse”), practice theories, neopragmatism and many others. The current concepts of knowledge that are discussed in the domains Science and Technology Studies (STS), Gender Studies, and Postcolonial Studies are also closely related to the sociology of knowledge. We like to encourage the discussion of the diversity and variety of perspectives on the sociology of knowledge and explore the ways in which different cultures, theoretical stances or sub-disciplines conceive of the sociology of knowledge, make it fruitful for empirical research and develop it further theoretically. 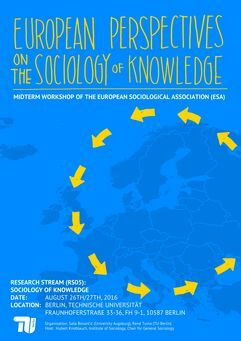 Having witnessed an enormous interest for the new research stream (RS05) “Sociology of Knowledge” at the European Sociological Association’s Conference 2015 in Prague, this workshop is intended as a next step in the development of a European Network in the Sociology of Knowledge. Therefore this workshop addresses researches in Europe and beyond to share and discuss their theoretical considerations, their methodological approaches and their empirical work(-in-progress) explicitly relating to the sociology of knowledge. 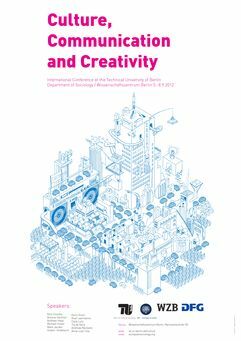 Workshop des DFG-Projekts „Bildkommunikation in der Wissenschaft am Beispiel der Computational Neuroscience“ (Fachgebiet Theorie moderner Gesellschaften) und des Graduiertenkollegs „Innovationsgesellschaft heute“ am 28. Und 29. Januar 2016 an der Technischen Universität Berlin. 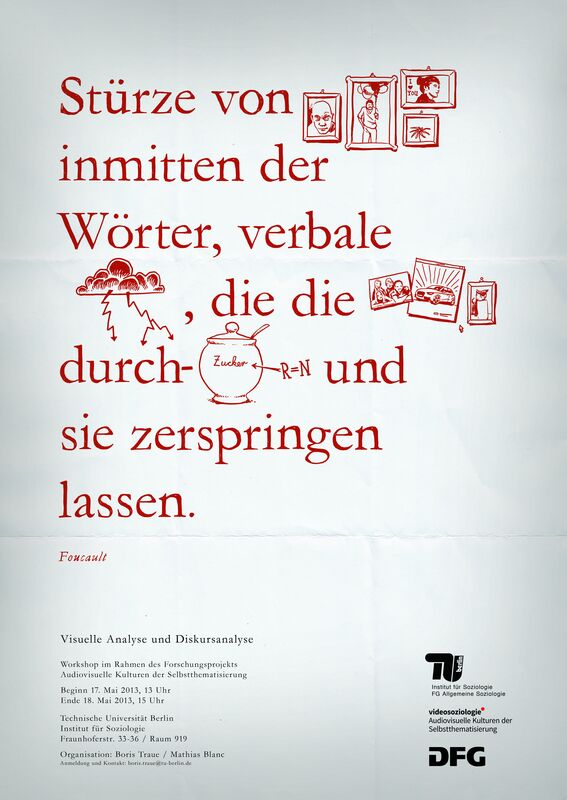 In diesem Workshop werden wir die Frage diskurtieren, welche neuen Formen der Kommunikation und Übersetzung von Wissen sich gegenwärtig in der Wissensgesellschaft herausbilden bzw. wie sich alte Formen wandeln? Die Bearbeitung dieser Frage erfordert Beiträge aus verschiedenen Teilgebieten der Soziologie und verwandter Disziplinen. Das Ziel des Workshops ist, die gesellschaftlichen Voraussetzungen und Konsequenzen der sogenannten Wissensgesellschaft und ihrer wachsenden Kommunikationserfordernisse auf der Grundlage empirischer Fallstudien und gegenstandsbezogener Theoriebildung zu diskutieren. Das Programm ist nun online. Der Workshop ist öffentlich. Aufgrund des regen Interesses bitten wir um eine kurze formlose Anmeldung per Mail an Frau Heine (felicitas.heine@tu-berlin.de) bis zum 22. Januar 2016, damit wir die Teilnehmerzahl abschätzen können. Um Anmeldung an Felicitas.Heine@TU-Berlin.de bis zu 1. November wird gebeten. 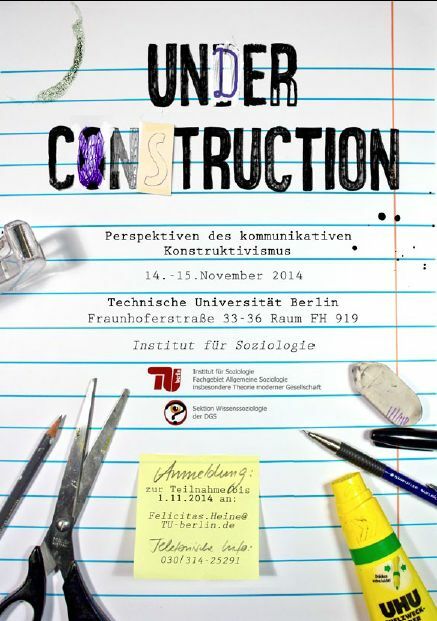 Tagung "Die neuen Amateure – Zur Konjunktur einer Sozialfigur"
Jahrestagung der Sektion Professionsssoziologie in Kooperation mit der Sektion Wissenssoziologie und dem Projekt "Audiovisuelle Kulturen der Selbstthematisierung"
Projekttagung des Forschungsprojekts: "Tod und toter Körper"
Sektion Wissenssoziologie Session 1: Irritierte Bestände. 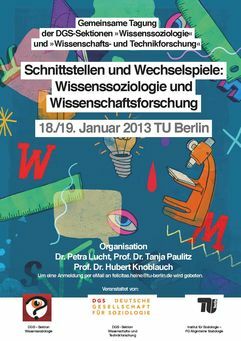 Umwertung und Entwertung von Wissen in der "Wissensgesellschaft"
Sektion Wissenssoziologie Session 2: Ein Bild trügt mehr als 1.000 Worte. Plenum 9: Wer ist der Akteur?